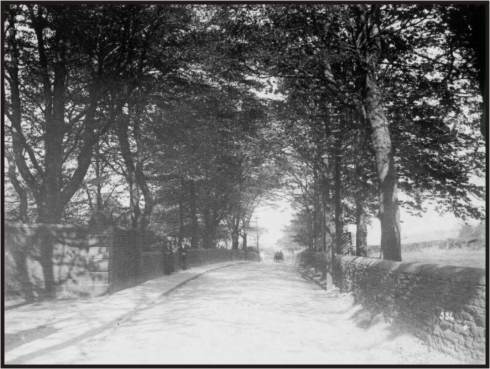 Hopton Lane at the junction with Hopton Hall Lane around 1910. 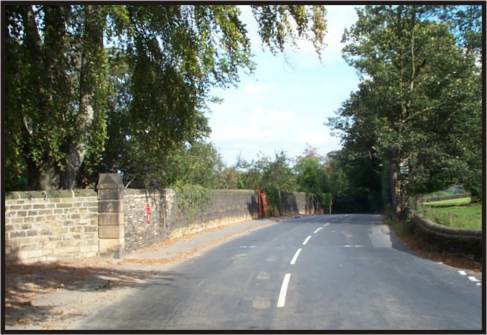 The gate to the left is the entrance to Bell Grove House a large private residence still standing today. On the other side of the road at the corner stood Hopton Old Chapel.